Beaches and Tokyo aren't two words that normally go together, anyone living here could tell you that. So what do you do when you want to go to the beach for a few days but aren't prepared to pay what it takes to get to Okinawa or Thailand? The closest beach is maybe Shonan beach in Kanagawa, cesspool-like with dirty brown sand and dirty brown water, garbage strewn everywhere. Despite this pretty picture it's still packed with people in the summer. 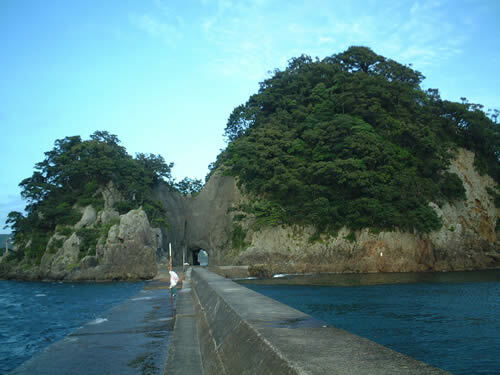 For those that are willing to go a bit farther, and organize and pay a bit more, there is a better option, Shimoda on the Izu Peninsula! The middle of August is known as Obon which has something to do with paying respect to the deceased, etc., but most Japanese see it as an excuse to go on vacation. My friend Jason and I had the same idea, get the hell out of Tokyo for a few days and hit either the beach or the mountains. We settled on the beach and tried to organize a few more people to come on our excursion together, but no one was having any of it. Everyone else seemed to want to work or something silly like that. 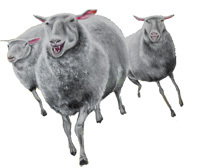 Not to be discouraged we went ahead with our plans, knowing they'd all end up envying us later. With our combined willpower, traffic cleared up to acceptable levels and the clouds faded away. 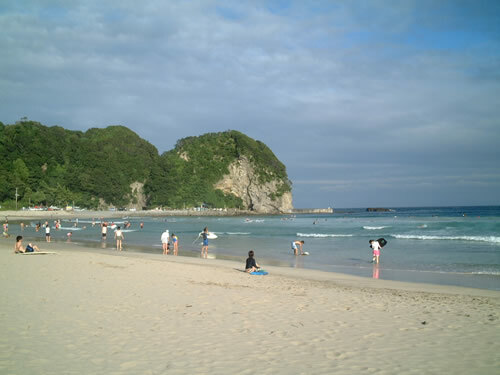 We arrived in Shimoda around 4:00pm to be greeted by sun, surf, white sand and girls in bikinis. Meanwhile in Tokyo it rained and Typhoon #15 approached but were we affected? Of course not. In Shimoda it was beach life all the way baby. 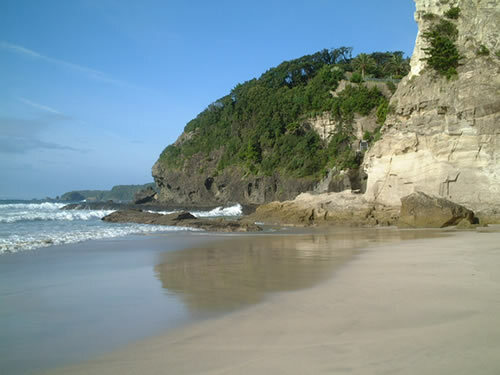 Both the top and bottom pictures were taken at Tatado beach, famous for surfing. In fact, when I went in the water without a board of any kind, I was politely told to get out and go to a small section on the other side of the beach which was reserved for people who just wanted to goof off, like me. Jason, being a master of the ancient art of skimboarding, had brought two skimboards with him so we were allowed to stay at Tatado. What is skimboarding? I asked the same question and Jason answered by proceeding to run down the beach, throwing his board at the point where the sand and water meet, then jumping on it and gliding along the beach like he was on a skateboard. 'Oh' I thought and followed, but when I jumped on my board I glided about 2 inches. The next time I fell over and skinned my knee. Then my arm. And so it went. I manged to glide a few feet a couple of times but in the end, bruised and bloody, I decided that skimboarding just wasn't my sport and proceed to jump into the waves again boardless. 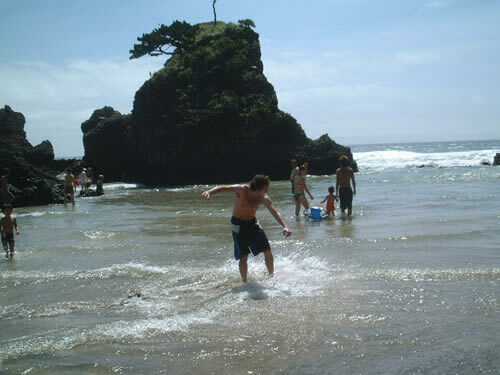 Here's Jason showing his skills at Ohama beach where we went the next day. Who needs trains when you've got a driver's licence? Well Jason has one, I'm still planning on getting mine. The train actually does go as far as Shimoda, but once there you'd be dependant on buses or taxis to get around which is 'ill' as Jason might say. 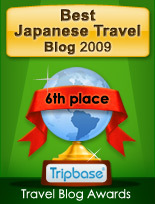 Besides, we discovered that renting a car is probably cheaper overall than taking a train. 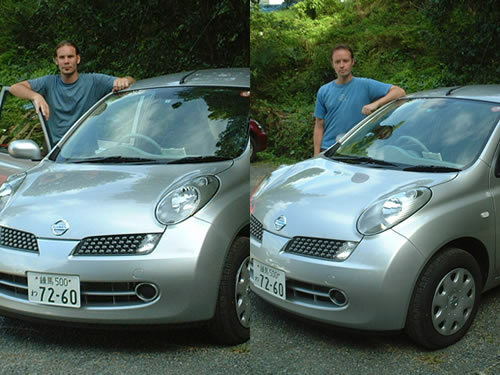 Here's Jason and I posing with our little Nissan 'March'. Good fuel economy but weak on hills. See ya later train-riding suckas! Eventually night started to fall as night is wont to do. We didn't have any hotel reservation, but instead we had a tent and decided to camp right on the beach. After we got set up, the wind and rain suddenly started to pick up. It howled all night and every ten minutes or so the tent would almost collapse but for Jason and I holding it up from the inside with our arms. We also went back outside to re-hammer the tent pegs no less than 3 times after they were ripped out by the winds. 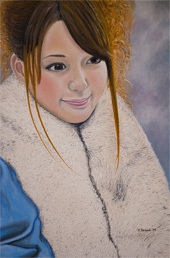 I wondered if the typhoon would suddenly hit early and send us swirling out to sea, but we survived until the morning. Jason calculated we got about twenty 10-minute power naps during the night. So was it to rain this day? No! Once again a concentrated burst of willpower sent the clouds reeling away and the sun came back out. Here's a shot of our tent in the morning, bathed in sunlight. 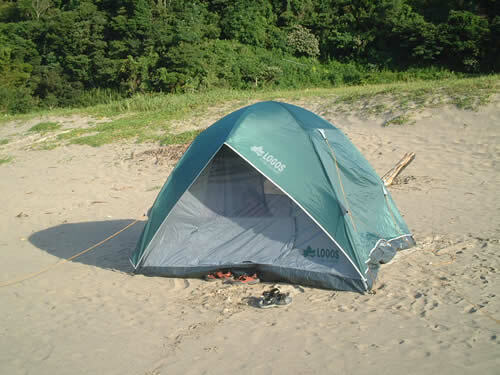 After we packed the tent up and carried it back to the car, we noticed a sign on the beach which said 'No Camping'. Oh. 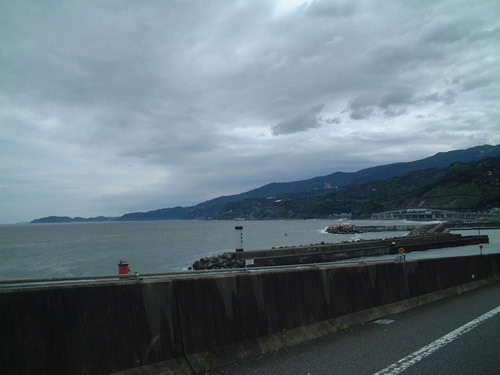 Shimoda isn't all beach, there are other interesting things to do when you're beached out. After a relaxing lunch at a beachside restaurant, we took a cablecar up a mountain for some sightseeing and some serious chill time. 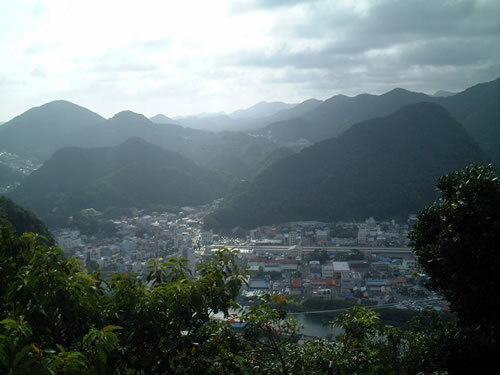 Here's Shimoda nestled in the mountains in the late afternoon. And here we are overlooking the bay, chillin with some drinks and fresh mountain air. What could be better I ask? Upon looking down upon the water, we noticed, like you might have, a long, skinny pier connected to a protruding island. We wondered if we could walk down it. No need to wonder when you've time and the adventurous spirit! We walked all the way down the pier, through the tunnel where there was a lighthouse on the other side. With nothing better to do I proceed to climb up part of the mountain which Jason filmed. Perhaps you'll see that after Jason sends me his pics and video? The rocks and concrete were covered with some kind of sea cockroach, nasty little things. As the second day came to a close, we headed back to the car and once again to the madness of city life. It was a good trip and we'll definitely be back!